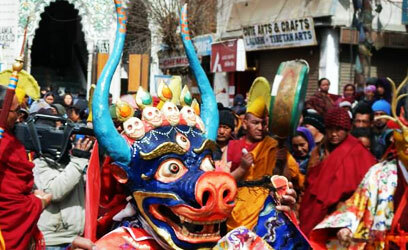 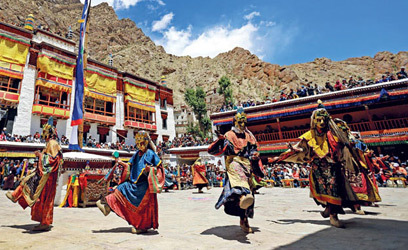 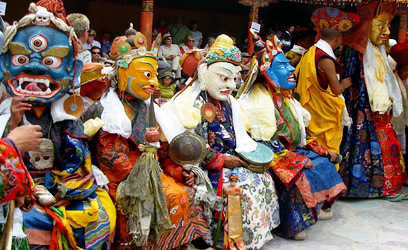 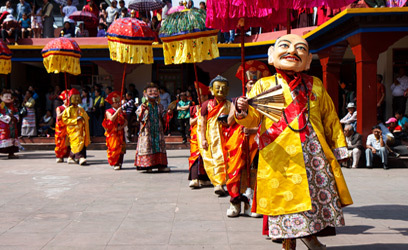 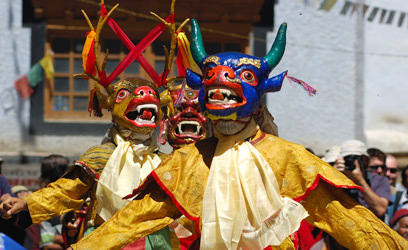 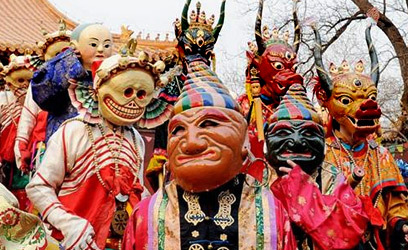 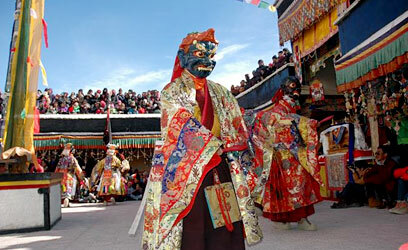 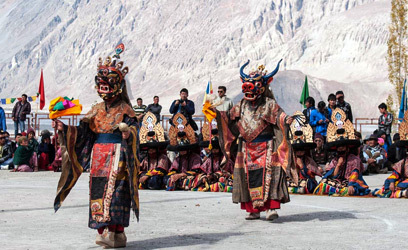 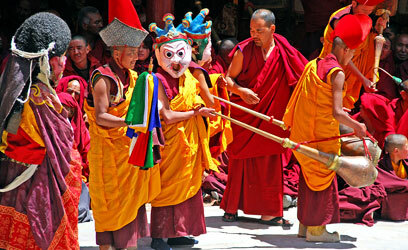 Ladakh festival is celebrated every year in Leh and its villages. 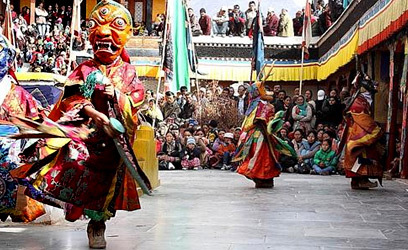 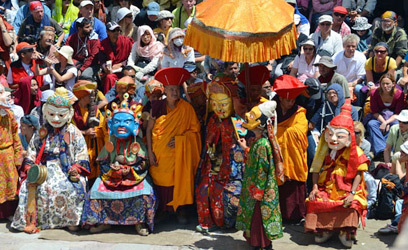 The inauguration ceremony of the festival takes place in Leh on a large scale with a procession of several cultural troupes from different part of the region which traverses through Leh Market. 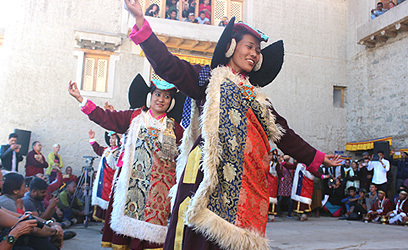 There is dancing, singing, traditional music, people wearing colorful traditional Ladakhi dresses. 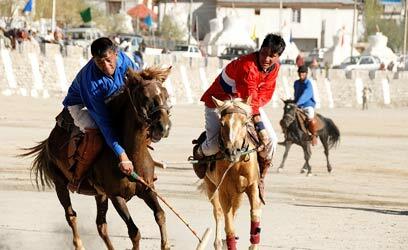 It comes to end at the Polo ground. 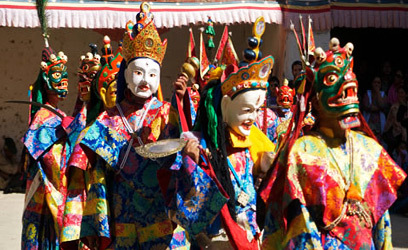 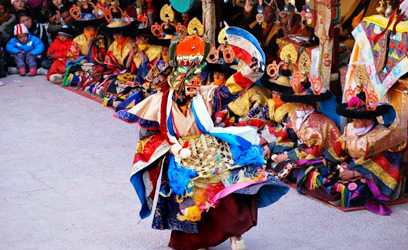 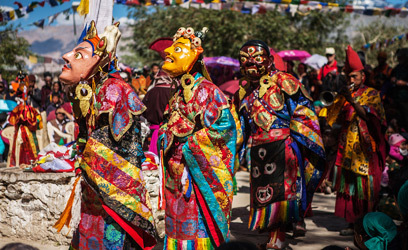 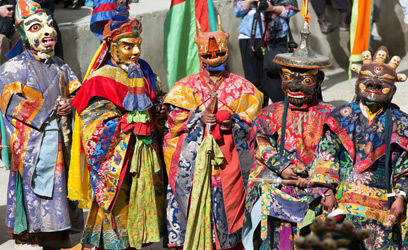 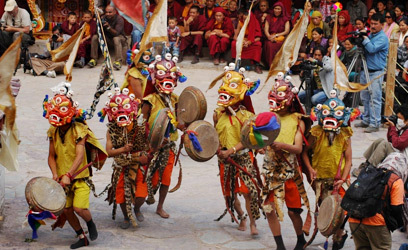 The festival is for one week with regular celebration in various villages including archery, polo, and masked dances from the monasteries and dances by cultural troupes from the villages. 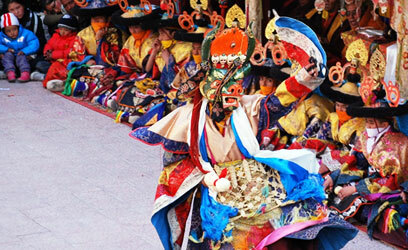 There are musical concerts too.